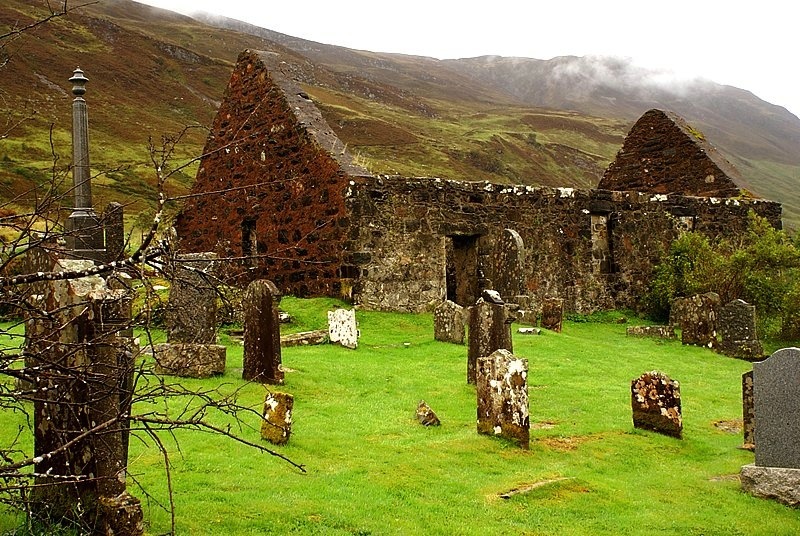 This is Clachan Duich, traditional burial ground of Clan Macrae. It is a Commonwealth War Graves Commission (CWGC) site so it a War memorial. It is said to be where St Duthac's church was founded in about the year 1050. Map reference is NG 94572 21089 on OS Sheet 33.